"The future of Syria must be determined by its people, but President Bashar al-Assad is standing in their way... the time has come for President Assad to step aside." France's Nicolas Sarkozy and Britain's David Cameron signed on to the Obama ultimatum: Assad must go! Seven years and 500,000 dead Syrians later, it is Obama, Sarkozy, and Cameron who are gone. Assad still rules in Damascus, and the 2,000 Americans in Syria are coming home. Soon, says President Donald Trump. But we cannot "leave now," insists Sen. Lindsey Graham, or "the Kurds are going to get slaughtered." Question: Who plunged us into a Syrian civil war, and so managed the intervention that were we to go home after seven years our enemies will be victorious and our allies will "get slaughtered"? U.S. diplomat Zalmay Khalilzad is today negotiating for peace talks with that same Taliban. Yet, according to former CIA director Mike Morell, writing in The Washington Post today, the "remnants of al-Qaeda work closely" with today's Taliban. or withdraw and let the Taliban overrun the place. 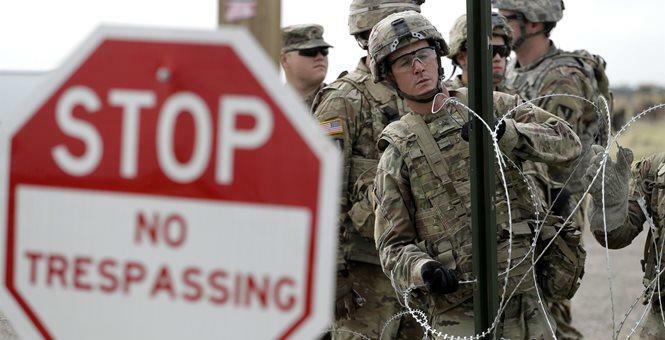 After Trump flew into Iraq over Christmas but failed to meet with its president, the Iraqi Parliament, calling this a "U.S. disregard for other nations' sovereignty" and a national insult, began debating whether to expel the 5,000 U.S. troops still in their country. Told of news reports of Gadhafi's death, Secretary of State Hillary Clinton joked, "We came, we saw, he died." The Libyan conflict has since produced tens of thousands of dead. The output of Libya's crucial oil industry has collapsed to a fraction of what it was. In 2016, Obama said that not preparing for a post-Gadhafi Libya was probably the "worst mistake" of his presidency. "As these leaders pass from the scene, it will be left to a new generation to find a way forward from the wreckage Mr. Trump has already created." Make that "the wreckage Mr. Trump inherited."